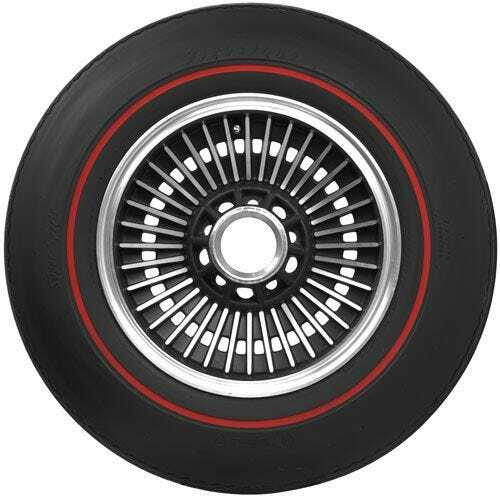 Nothing says sixties muscle car quite like a classic set of bias ply Firestone Redline tires. 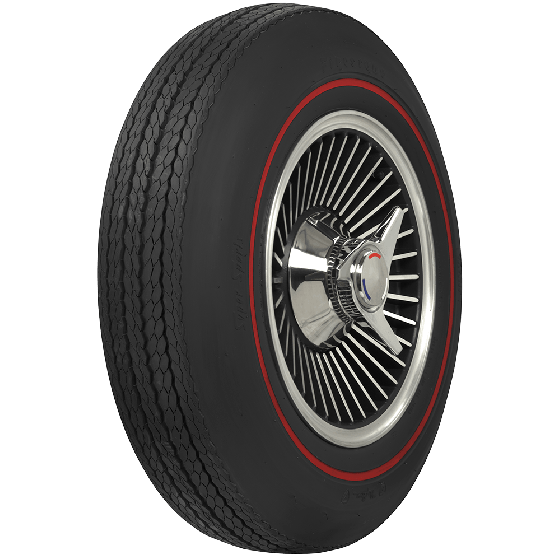 These authentic Firestone Redline tires are available in popular sizes for Corvettes & muscle cars of the mid-to-late sixties. 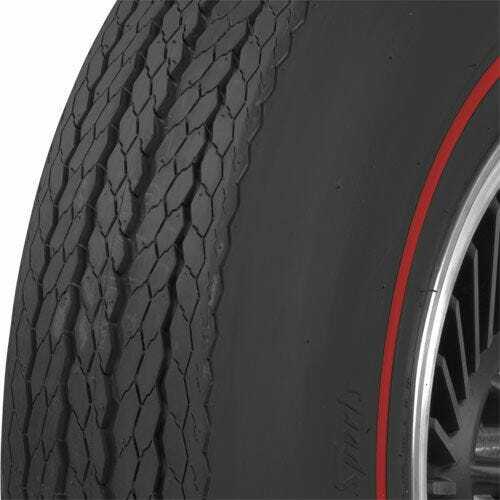 These are genuine redline tires built in the original molds right here in the USA. 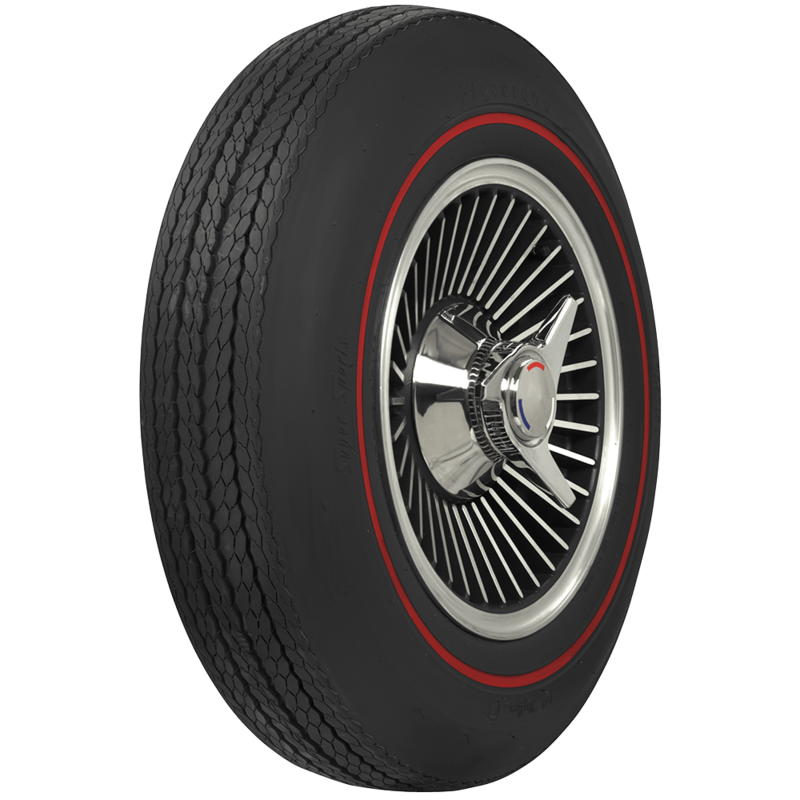 Choosing authentic OE-style tires is proven to increase your car's value at the auction block and they look great! 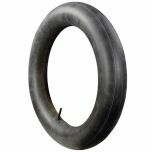 Cross reference the tire size shown in the product image with the part number in the product specification table when you select a size from the drop down menu for a more accurate description. The world's best restorers and collectors depend on high quality period-correct tires from Coker Tire Company. Is this a 4 ply tire? 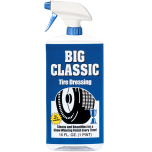 Bias ply tires intended for antique autos are not speed rating tested like conventional tires are. These tires should be expected to perform at the original capabilities of the vehicles they were engineered for.